The deXter Bentley Hello GoodBye Show – Best Bits 2017 – Part 3 (of 3). First broadcast on Resonance FM between midday and 2.00pm on Saturday 6th January 2018. 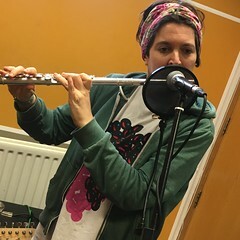 A full two hours of music performed live in session on Resonance FM over the past twelve months. Special thanks to live sound engineers; Ilia Rogatchevski, Leisha Thomas, Martin Pearce, Erik Lintunen, Liza Gurtz, Josh Eagle, Beth Rogers, Sara Ghandour, Sarah Nicholl, Edwin Dorley, Elise Morgan & Ollie Guard. This entry was posted in dexter bentley, hello goodbye show, Hello GoodBye: Playlists, resonance fm and tagged AK/DK, andy hankdog, Archipelago, arkology, Art Terry And Friends, dexter bentley, dom mason, flame proof moth, gagarin, gerry mitchell, Guttful, hater, Helen McCookerybook, hello goodbye show, Hexenschuss, jack hayter, jemma freeman and the cosmic something, joy-rides, Julie Anne McCambridge, keeley forsyth, lianne hall, LOFE, lone taxidermist, Lucy Leave, meatraffle, patrick wray, resonance fm, Robert Rotiffer, Sebastian Reynolds, sister mercedes, skrot centralen, Thee Dagger Debs, trevor moss and hannah lou, Tsinder Ash. Bookmark the permalink.